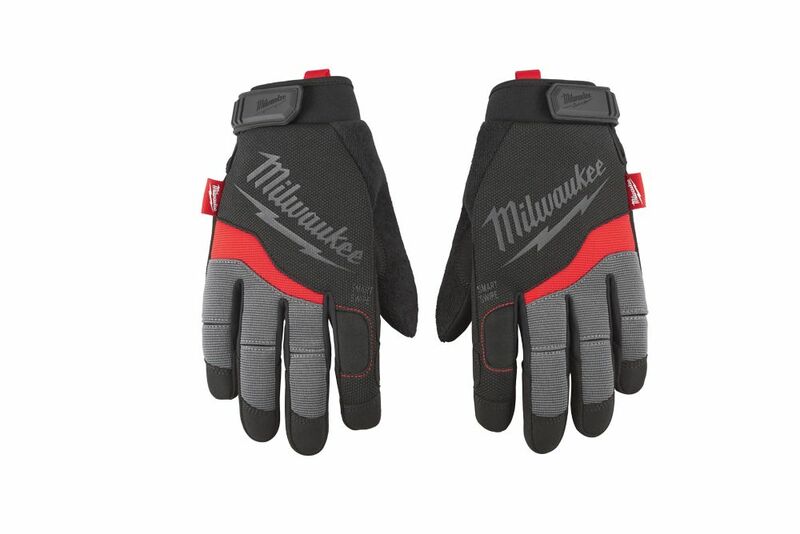 Milwaukee Performance Work Gloves are designed to provide Ultimate Durability and All Day Comfort. Featuring Smartswipe fingertips, knuckles and palms designed to allow the use of touch screens, and high dexterity fingertips to provide precision when handling small objects. A reinforced thumb seam provides enhanced durability and the hook and loop closure ensures a secure fit. In addition, a breathable lining and built-in terry cloth sweat wipe ensure the gloves remain comfortable enough to wear all day. Husky Medium Duty work gloves are a premium series of gloves for all tasks. The gloves have reinforced fingertips for enhanced durability. The neoprene wrist ensures ultimate comfort. Stretch spandex ensures elasticity throughout the entire life of the glove. Touchscreen compatible design. Medium Performance Work Gloves Milwaukee Performance Work Gloves are designed to provide Ultimate Durability and All Day Comfort. Featuring Smartswipe fingertips, knuckles and palms designed to allow the use of touch screens, and high dexterity fingertips to provide precision when handling small objects. A reinforced thumb seam provides enhanced durability and the hook and loop closure ensures a secure fit. In addition, a breathable lining and built-in terry cloth sweat wipe ensure the gloves remain comfortable enough to wear all day. Medium Performance Work Gloves is rated 4.7 out of 5 by 31. Rated 5 out of 5 by Hardy from The fit is very good. Build quality and material used... The fit is very good. Build quality and material used is excellent quality. To use with “Touchscreen” feature is good. Rated 5 out of 5 by HomeDepotCustomer from Good fit and nice glove. Favorite gloves at Home... Good fit and nice glove. Favorite gloves at Home Depot. Rated 5 out of 5 by Kveg from Great product!! Great product!! Rated 5 out of 5 by 371560j from Going to used as my Flight Attendant galley gloves for handling the hot racks of food on my inter... Going to used as my Flight Attendant galley gloves for handling the hot racks of food on my international flights.